In my line of work, I often receive PSD (Photoshop files) of Web Layouts, which I have to then turn into HTML, CSS, etc. These layouts almost always use a custom font that looks amazing. Unfortunately though, as most web developers and designers know, you cannot use any font you’d like on the web. It has to be a common font that is shared on not only most Windows computers, but also Macs. What is this crazy service? 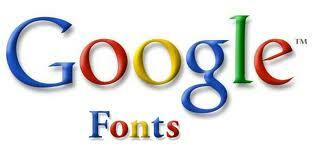 Basically, Google has a whole bunch of fonts that are NOT normal, everyday fonts. They’re the type you’d expect to see in a Photoshop document. And while many are missing (such as ones that cost money), you can generally find a font that is similar to that of which you seek. These fonts come at a price though (albeit non-monetary in value)! You can’t go too crazy with them, as they do add some additional load time to your webpage(s). It’s pretty minuscule, but as we all know, the faster your page loads the better. Because of this, Google lets you select specific features you would like from the fonts (such as bolding and so forth). Obviously, the less you select, the better. Installation is easy afterward. Copy and paste the generated lines of code to begin using the font!